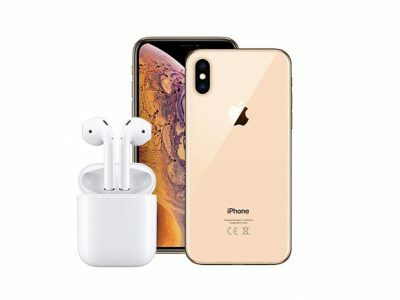 Check out the The iPhone XS Max 256GB + AirPods Giveaway we’re running with Stack Commerce. All you have to do is sign up—or log in to our Deals site if you’re already signed up—and click the green Enter to Win button. One winner will be drawn in about a month. We have a deal on a subscription to Call Control Premium. 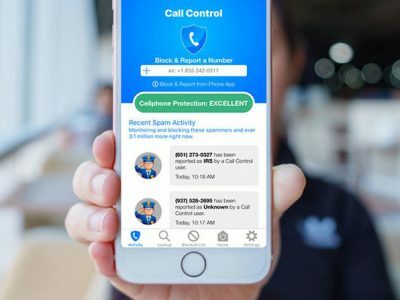 This AI-based service lets you block calls based on your own criteria and a community-driven database, and it provides blacklists, reverse-lookup tools, and a variety of other tools that let you take greater control over your calls. A one year subscription is $19.99 through us. You can find all the details in the deal listing. We have a deal on the Series 3 Apple Watch With GPS. 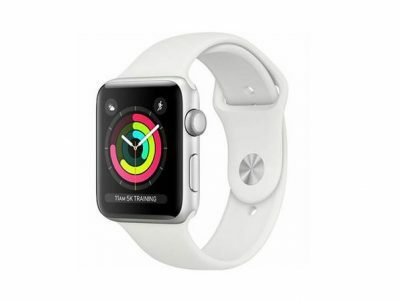 I’m linking directly to the deal for a 38mm white Apple Watch with GPS for $269.99, which is $9.01 off retail. You can also choose the black model from a pulldown-menu, as well as the black and white versions of the 42mm for $304.99, which is $4.01 off retail. 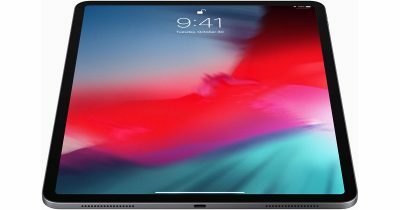 In response to a shareholder question about iPad Pro models, USB-C, and the inability to do video over USB-C, Apple senior vice president Craig Federighi said this feature was coming. 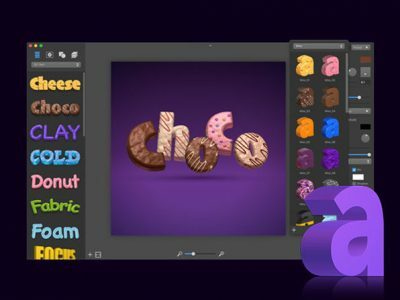 We have a deal on Art Text for Mac, graphic design software specifically tuned for lettering, typography, text mockups, and various artistic text effects. It comes with templates, gradient presets, shadow effects, and more. It’s $14.99 through our deal, but coupon code DOWNLOADIT takes off 25% for a checkout price off $11.24. 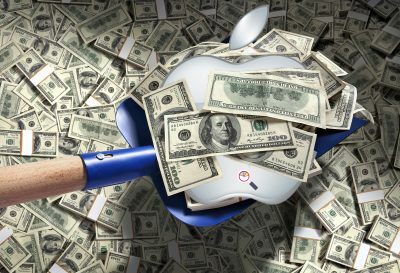 And the reason should be obvious: Apple is one of the singularly most successful companies in the history of modern commerce, and shareholders don’t want anyone monkeying that up. This episode is all about robots! Apple robots, military robots, delivery repots, preacher robots, manufacturing robots, and self driving car robots! Bryan Chaffin is joined by guest host John Martellaro to deep into what’s happening with robots today and what they expect for robots in the future. Put your SciFi futurist cap on for this one. They also talk about foldable phones, or as they like to think of it, the netbook of 2019. 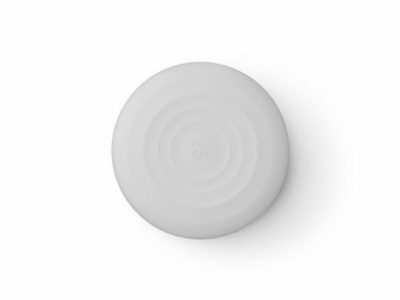 We have a deal on the Omnia Q Wireless Charger. This wireless charging pad will charge your iPhone XS, iPhone XS Max, iPhone XR, and other Qi-compatible devices. It also glows while it’s charging with built-in multi-hued LED bulbs. Our deal is for $29.99, but coupon code SEMIANNUAL saves 15%, for a checkout price of $25.49. 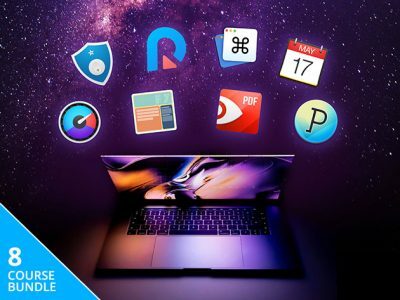 We have a deal on a solid Mac bundle called the Epic Mac Bundle. It includes Fantastical 2, PDF Expert, Pagico 8, Flux 7, Command-Tab Plus, iLocker Pro, Ultdata Recovery, and one my all-time favorite Mac utilities, iStats Menu 6. As I said, that’s a solid collection of apps, and you can get all of them for $29.99 through our deal. Our deal on the RokBlok is back. 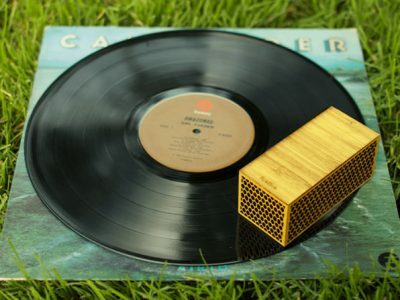 This device is billed as the world’s smallest record player, and it sits on your record, traveling around in a circle to play it. In the video below, you can hear that it produces a small sound, but it’s Bluetooth enabled for piping the sound to another set of speakers. It’s $99 through us, but coupon code ROK10 takes off $10, for a checkout price of $89. Where is Apple going with its content drive? 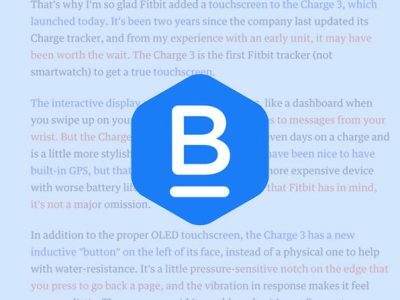 Bryan Chaffin is joined by guest-host Charlotte Henry to dive deep into original shows, services, publishing, news, and Apple’s other content ambitions. 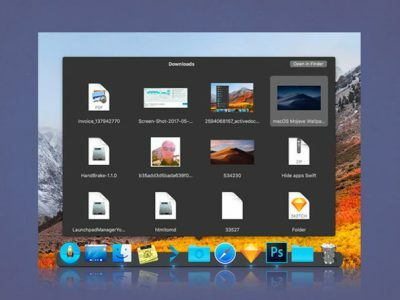 They also talk about the promise (and potential drawbacks) of Marzipan, and what Apple’s recent executive shuffling might portend. 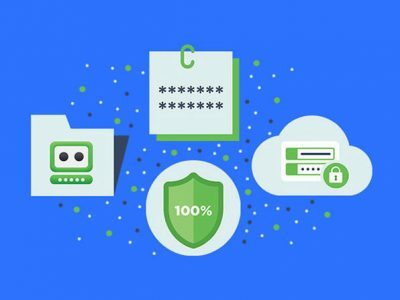 We have a deal on a 5-year subscription to RoboForm Everywhere Password Manager. 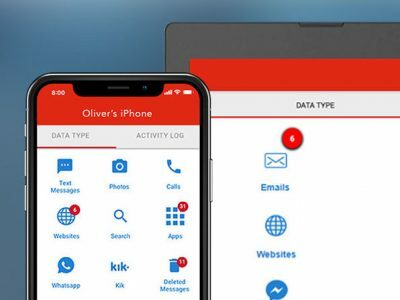 This online service offers AES 256-bit encryption, powerful password auditing, and one account works across an unlimited number of devices. You can get this through our deal for $29.99. 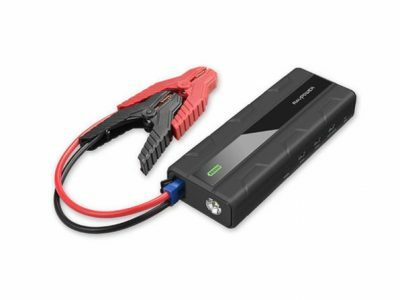 We have a deal on a nifty gadget today, the 14,000mAh Car Jump Starter Kit. 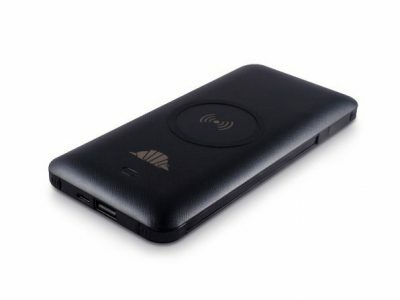 This portable battery can be used to charge your regular mobile devices, including the ultimate mobile device, your car. It works with gasoline and diesel engines up to 7 liters with a 12 volt battery, and it can charge up to three smartphones and tablets at once with one Quick Charge 3.0 USB port and two iSmart USB ports. It’s $55.99 through our deal. We have a deal on Scout, a versatile mobile charger with a built-in Lightning cable, Micro USB cable, QuickCharge port, a Qi-charger, and a 5,000mAh battery. And, it can be plugged directly into a standard wall socket for charging. Check out the promo video below for more info. You can get Scout through our deal for $39.99. We have a deal on WebWatcher, an online monitoring service to help parents manage what their children are doing online. When installed on your child’s device(s), it transmits all browsing data and other web-related activities to a secure account you can monitor remotely. You can get a 1-year subscription through our deal for $49.99. 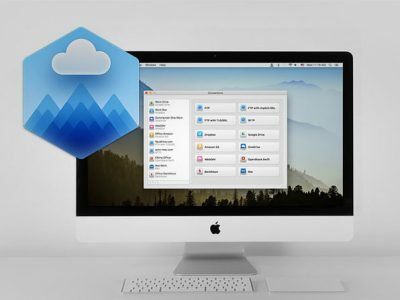 We have a deal on an app called CloudMounter that takes your various cloud storage services and mounts them on your Mac’s desktop for quick access. Supported services include Dropbox, Google Drive, Amazon S3, and Microsoft OneDrive. Our deal is for a lifetime license for $19, but Stack Commerce gave us a coupon code for President’s Day (which is today!). Enter PREZDAY15 at checkout for 15% off, which brings the price down to $16.15. We have a deal on a 7-in-1 MacBook Pro USB-C hub. 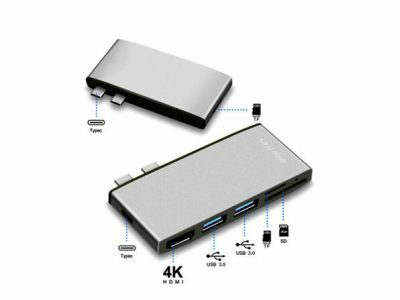 This device has one Thunderbolt 3 Type-C port, two USB 3.0 ports, an HDMI port, and SDXC, micro SDXC, and TF card ports. You can get it through our deal for $34.99. Bryan Chaffin is the cofounder of The Mac Observer and currently serves as Afternoon Editor. He has contributed to MacAddict and MacFormat magazines, and coauthored Incredible iPad Apps for Dummies with Bob “Dr. Mac” LeVitus. You can find out more about Bryan at his personal site, GeekTells, or find his Twitter and Google+ links below.